A top Pakistani Taliban commander was among 13 militants killed in a US drone attack in Afghanistan, near the border with the North Waziristan region. The drone strike killed Khan Sayed Sajna in the Damma region in Khost Province near Shahadianu Patala, a Pakistani town in North Waziristan yesterday, The Express Tribune said. Sajna led a breakaway faction of the Pakistani Taliban and was involved in several attacks on the security forces. Citing Pakistani officials, the paper said that the strike also killed 12 militants and wounded 20 others. The officials' claims have not yet been independently confirmed, partly because of the remoteness of the site and the restrictions on journalists' access to the area. There was no immediate comment from American officials, who do not typically comment publicly on drone strikes. 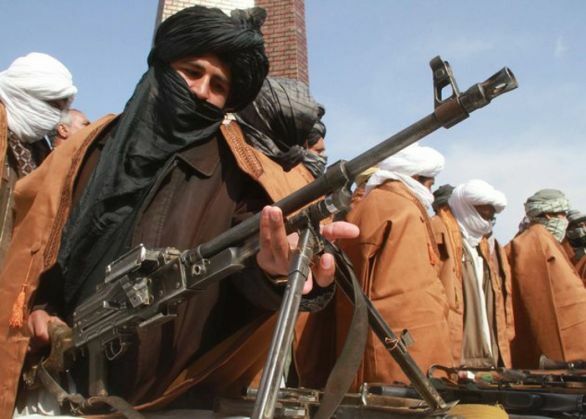 According to locals, Taliban commanders were meeting to resolve the growing differences among the various Taliban offshoots when the drone strike took place. Sajna, a leading Taliban commander, was founding member of Tehreek-e-Taliban, the umbrella organization known as the Pakistani Taliban that was formed in 2007. In 2014, Sajna publicly rejected the appointment of new Taliban chief Maulana Fazlullah after death of Hakimullah Mehsud.